this section is specially for the people that want to help us in developing new updates. The latest TEST software is available for download on request. So you need to ask us if you want to use this software first. Because the new update is build using the new windows platform it will requre the new MFC dlls. Download from here http://www.microsoft.com/en-us/download/details.aspx?id=40784 depending on your OS (32 bits or 64 bits), sometimes you also need to install the 32 bits version for 64 bits system. Question: why i can’t find the previous updates in the TEST software ? Answer: the test software is only for testing purposes. If you need to update your card with a known firmware you need to use the software available in the Downloads section. A little background about the current updates. The current updates for iPhone 5S and 5C are TIMSI based. TIMSI is a temporary IMSI assigned by the network. Because of this from time to time the phone might reset itself then will work again. This happens usually when TIMSI expires or when you move from one area to another. Also this unlock is very dependent on the simcard type you have so it might work on some simcards (2G ones) and might not work on some others (subscription simcards). Other solutions from the market claim they work very good, but this is a lie. We have tested many scenarios and found that other solutions are even less reliable than ours. Others say they are working for example for TMobile USA, but in fact it’s impossible they work and do not work as tested by us. So keep in mind that this is a far from perfect way to unlock your phone and we can’t recommend this solution as a very good one like we wanted and we did for the previous releases. From our tests we think that this update works well on 2G only networks (networks that do not have 3G enabled). 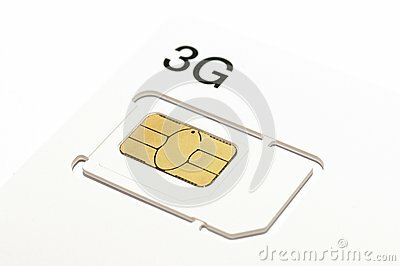 For 3G networks the algorithm we use might not always perform good in crippling simcard 3G functions that prevent it from working properly. So this solution aim is to disable 3G altogether and it will never work correctly in 3G modes. The main update that you can test using this software is V18. (for AIO5 so you should select AIO 5 first in the list then select update V18). For USIM/3G enabled cards please use iRose to patch first. You can also test V17 update and post results. Other updates are obsolete and we don’t require any testing and might be dangerous for your AIO card. To learn more about using this software you can read ReleaseNotes file. If because of this updates your card counter will be to low, please contact us by email in resetting the counter and give us some time to do so (few hours at max). – screenshots of used settings (or a copy-paste of the log) that must include the update version V17-V18 etc. – what is working and what is not working after a successful ‘unlock’ (signal bars displayed, incoming calls, outgoing calls). You can use our sales email address also for the purpose of testing. Hi Team! First testing was failed. Because this phone is locked HU Vodafone, the guy was taken AIO at 7.0.4-7.0.6, worked successfull, after updated to 7.1 all sim card (HU-Telekom, HU-Telenor)goes to Activation Screen and sim failed message. But interesting, Blue Mobile (Lidl market mobile network – main service is HU-Telekom) goes to network successfully and working 3G without patch. But interesting, Blue Mobile (Lidl market mobile network – main service is HU-Telekom) goes to network successfully and working 3G without patch. it’s a SIM. Not USIM. I know. But second Vodafone locked 5S was ignored too. in both cases irose dont help on incoming calls at all !! Hi! What software version talked about? [info] description: V24 – AIO5 5S5C and Sprint 05.11 Use normal IMSI as you would use normally! there v31? where I can download it?